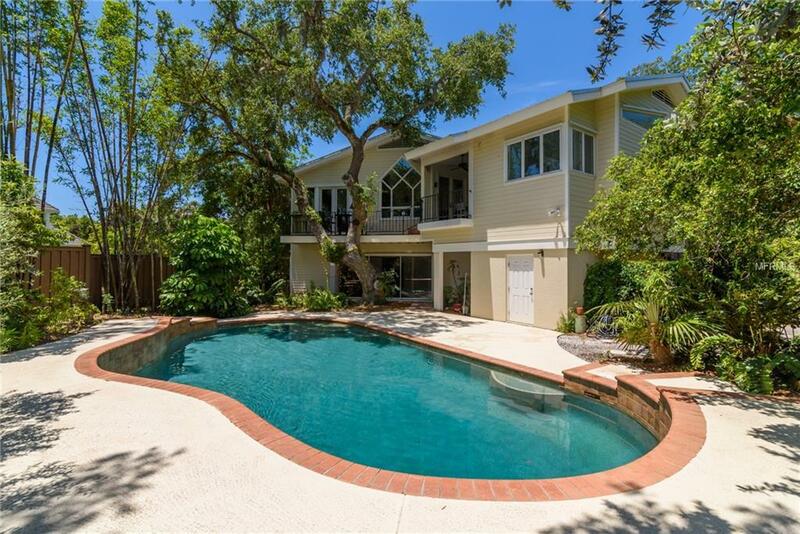 PRICED 600K BELOW APPRAISED VALUE. LAND ALONE APPRASIED AT 2 MILLION. 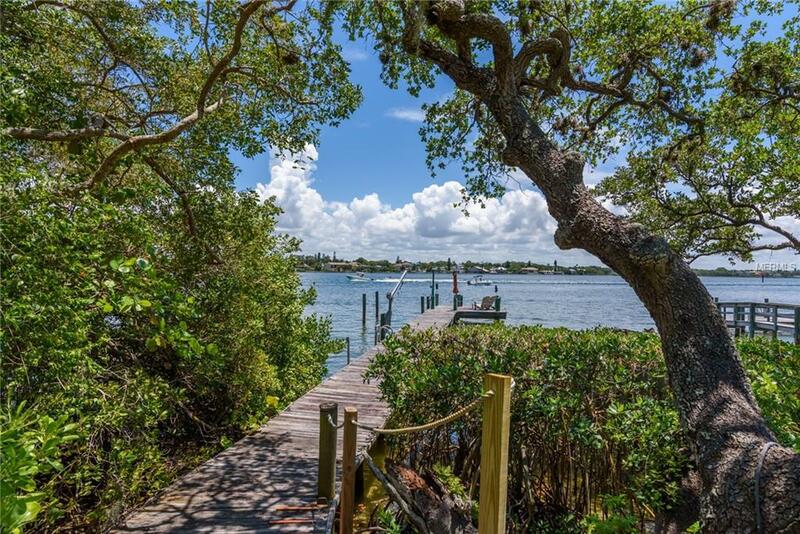 Located in a secluded neighborhood on the southern part of Siesta Key, this home pays homage to living in the tropics with lush landscaping, a winding path to the water and 100 ft. on the bay. Relax by the pool and private lanai, from the secluded spa, or on one the open-air balconies. 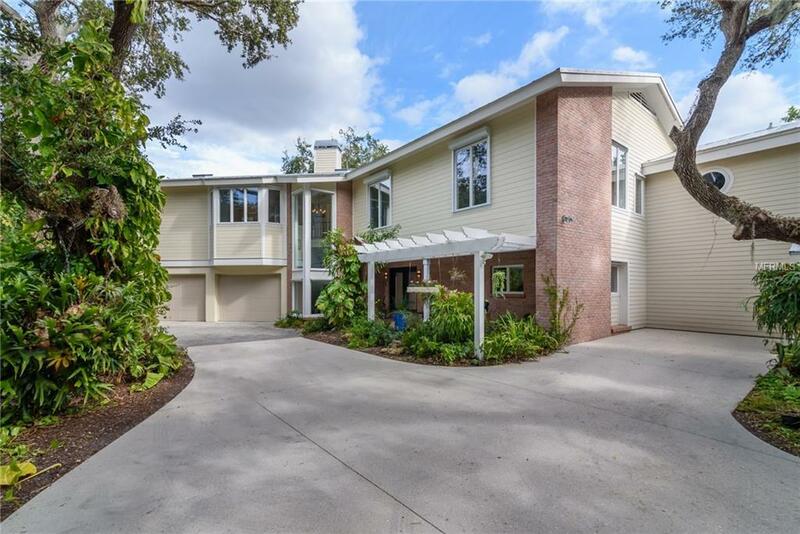 While the custom-built, multi-generational home is listed as being built originally in the 1970s, this property was completely reimagined both inside and out, top to bottom in the 90s, offering a nearly brand-new home from its original concept. The bright and clean exterior is highlighted by its nearly 1-acre lot while the house feels crisp and modern with an open floor plan. Three of the bedrooms are en suite with extended living spaces. The large foyer separates the homes two major living areas with a staircase leading to the second floor which includes the main living, dining, breakfast room and a gourmet kitchen all centered as the heart of the home. Beautiful wood floors through most of the main living area, slate-tiled kitchen and carpeted bedrooms. 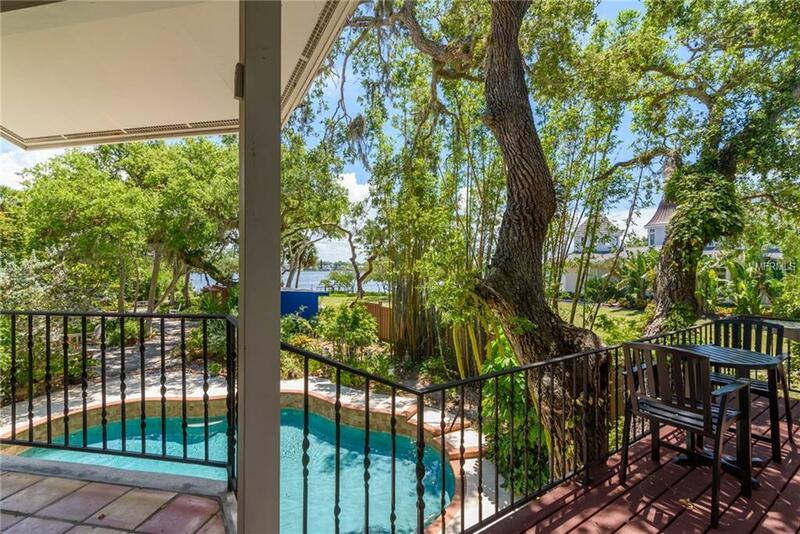 The master suite has a generous walk-in closet and master bath with amazing bay views. The second-floor guest suite has wood vaulted ceilings and a handsome wood staircase leading to the first-floor guest quarters with private entrance. Just minutes to the beach as well as area dining, shopping and Sarasotas arts and culture scene. Drop in your kayak or just take a seat on the dock.